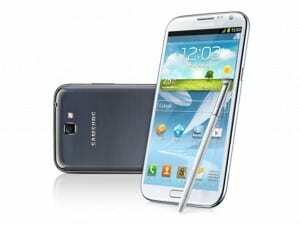 After receiving the leaked Android 4.1.2 firmwares for the Galaxy S3 and the Galaxy S2, it is now Galaxy Note 2’s turn to receive the long awaited update. This is still a test firmware leaked to the world wide public and offered by Sammobile, but as previous version proved it, leaked firmwares are very close to being without bugs. The official update to Android 4.1.2 Jelly Bean for Galaxy Note 2 is expected somewhere in December/January. !!! This is a test firmware. This is not an official update released by Samsung but a leaked version of the update that is to come in the near future. Even though it is close to perfect there are still bugs that need to be addressed. If you don’t know what Odin is, or never used it before, I recommend you do more research before installing this on your Galaxy Note 2 device. If you are an experienced user then you know what to expect. Any damage to your device is on your own responsibility though. After the reboot your Galaxy Note 2 should be running test firmware XXDLJ2 based on Android 4.1.2. Enjoy!